A new party member and more. Square Enix hosted a World of Final Fantasy Maxima pre-launch special live stream earlier today, where it shared new information on the enhanced re-release ahead of its official launch. You can now carry 12 Mirages instead of 10. An item called “Treasure Search” is unlocked after clearing the game, which makes finding treasure chests easier. Lots of rare items have been added, mainly battle-related. New Game+ has been added. You can listen to the song “Innocent³” from World of Final Fantasy: Meli-Melo in Theater Mode. The “Sandstalker” minigame has been made easier to play. Catching the three starter Mirages (Fritt, Bablizz, and Zapt) has been made easier. An EX Dungeon in which Garland appears has been added. The Immortal Dragon of Darkness appears. An enemy that appears at the beginning of the World of Final Fantasy: Meli-Melo manga, it is one of the Exnine Knights. It is even stronger than Brandelis. You can fight Brandelis again. 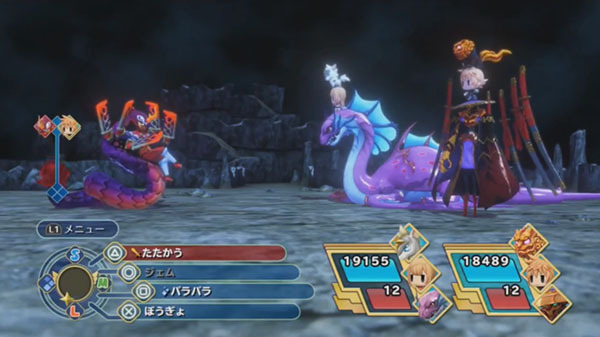 A “Nightmare” difficulty option where even small enemies are significantly stronger has been added. New, fully-voiced Champion Intervention Quests have been added. A secret ending has been added. Hauyn’s Archives: Characters that first appeared in World of Final Fantasy have “World of Final Fantasy (Apocrypha)” written in their “First World of Origin” field in the encyclopedia. These Apocrypha can be read as Hauyn’s Archives, which are scattered throughout the game world and must be gathered. New Mirages and Champions have been added to the encyclopedia. Since there is a little more story after clearing the game, additional descriptions have also been added to Lann, Reynn, and Hauyn’s entries. Watch the live stream archive below.